Editor’s Note: 3WM recently confirmed the details of PVT Fisher’s overall period of incarceration with the USFK. Pvt. Fisher was originally transferred to ROK custody on 21 June 2011. Fisher’s first offense and conviction (taxi incident) was a 24 month conviction which will be completed on 19 June 2013. Fisher’s second offense and conviction (private property damage) was a 1 million won fine, but to be worked off at 50,000 won per day = 20 days of confinement over his original sentence. Fisher is estimated for release on 9 July 2013. There is no doubt that ensuring Fisher’s ability to understand and to communicate in the court was of paramount importance. 3WM has already confirmed that numerous legal documents related to the case were not translated for Fisher and that within documents that were translated, there are major inconsistencies. As the investigation process continues and more documents undergo scrutiny, these discrepancies continue to surface. A fair legal process undeniably should ensure that the accused has full access to the information being used to convict him or her. Surely it is equally important that the legal proceedings being conducted in a foreign country in a language that the accused did not understand be as professionally interpreted as possible and, that such interpretation be monitored by a qualified member of the USFK with SOFA understanding. 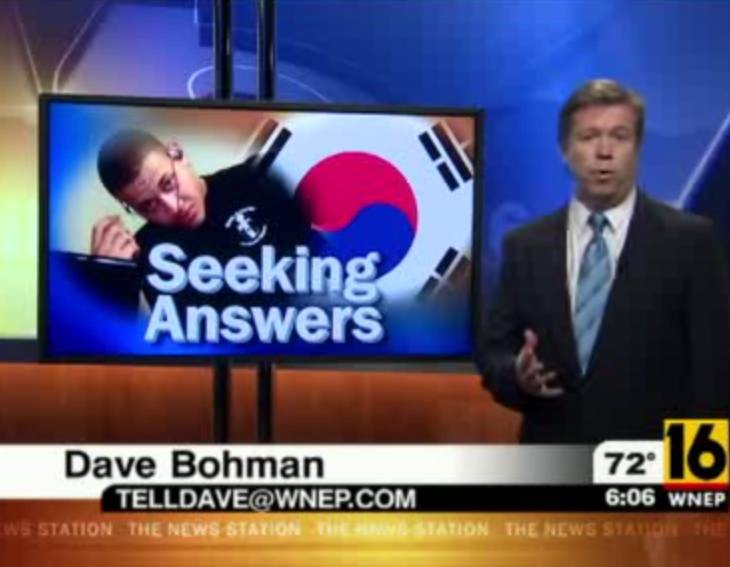 The first question that arises here relates to the Trial Observer’s Korean language skills. Secondly, how meticulous is the Observer in monitoring the proceedings (i.e. note taking, report filing and so forth)? And does the Observer have any access to documents related to the case such as evidence reports, written statements, anything that would offer some understanding of what is going on? When 3WM first presented aspects of these questions to members of the USFK, the answers were rather ambiguous but it was suggested that Korean language skills are not required. On the second question, well, honestly, it’s on a case-by-case basis. On the final question, it was also suggested that it’s not likely. So whatever the SOFA regulations “guarantee” about ensuring a fair trial and making sure rights and privileges are honored by the ROK in these cases, it’s slightly unsettling, especially for the accused and those concerned about his or her welfare, to know that the appointed Trial Observer really doesn’t do all that much. –Later, at 02:24:51, the aforementioned person [the perpetrator] hurries out of the taxi, and simultaneously, another person gets out of the taxi through the back right door and both run towards the alley behind the taxi. –Right after, the door to the driver’s seat opens and a man that seems to be the taxi driver gets out and runs towards the direction of the aforementioned two people. –At approx. 02:25:20 the aforementioned two people and the taxi driver disappear from the screen. So according to the Trial Observer, the taxi driver never chased the two men and according to official ROK legal documents he did. Which is it? Later, in the same comment, the Observer certainly doesn’t clear up the confusion over the actual color of the clip–a central piece of evidence in the case–which was called red and pink in the initial police report and later the taxi driver says he doesn’t know what color it was. In response “I Was At The Trial” writes, “the answers to your first two questions are no and no,” thus verifying what the USFK representatives had earlier suggested. Unless the individual writing the comments is a complete fraud, evident deficiencies exist that are cause for concern for any individual being “observed” in a ROK courtroom. On the subject of further inconsistency that can be evidenced relating to the case is the Witness Deposition of the taxi driver. Statements made in this Witness Deposition, conducted on the 19 May 2011 at Seoul Central District Court (4th record for public trial, Specialized Crime Division) by the prosecutor were earmarked as a key factor in the 10 June 2011 Seoul Central District Court (27th Criminal Division) decision to uphold judgement against Fisher. The document detailing the process caught on CCTV states “the aforementioned two people and the taxi driver disappear from the screen” at 02:25:20. In the same document it clearly says that the police met the taxi driver at 741 Hannam-Dong. The address of the crime scene, 682-19 Hannam-Dong and the address of where the police met the taxi driver, 741 Hannam-Dong are approximately 200m apart. The distance from 741 Hannam-Dong to the address of where PVT Fisher was apprehended, 729-74 is approximately 170m apart. Various points can be raised relating to these locations and testimony. Whilst nobody disputes that two men were captured on CCTV running from the address of 682-19 Hannam-Dong after debussing a taxi, the following needs to be considered: in the time between the driver walking the area and then driving the 200m from the crime scene to where he met the police, entering the police car and then traversing the 170m by car to where PVT Fisher was apprehended, Fisher would have had to spend approximately twenty minutes loitering on the same street corner, meters from the crime and outside a police station for the duration of the taxi driver’s foot and squad-car journey. Back in July when 3WM first became aware of the PVT Fisher case, there was a lack of straight, factual information readily available. The Fisher family sought to draw attention to and scrutiny of the case based on what they thought they knew about it. Now, six months later, it’s clear the family was in a panic about the fate of PVT Fisher. It’s also clear that they had not been told the whole story by PVT Fisher, which led to the subsequent release of misinformation into the mainstream local Hazleton/Scranton media. Almost the whole piece uses Fisher’s parents or family friends as the main sources except for the end which cites a U.S. Army spokesman. The central problem is that most of the information offered is wrong and misleading. To begin the family say Fisher was “outside a night club just off the American military base near the North Korean border when a cab driver claimed Fisher robbed him of $88.” Presumably this would have been in Dongducheon where Fisher was stationed. They also add that the incident took place in January. Fisher was actually apprehended November 19, in front of Hangangjin Subway Station, just outside Itaewon in central Seoul. Moreover, his father, Robert Fisher, says the police “beat him on the street” but there is no report of the use of excessive force and Fisher only says the handcuffs were too tight. Later in the piece, a family friend who kept in touch with Fisher is paraphrased: “She believes the Army abandoned him.” A quote from Mrs. Fisher follows: “The Army told us nothing.” Thus began the uncorroborated assertions that the U.S. Army did not handle Fisher’s case by the book. Furthermore, the U.S. Army did request that the ROK “waive its primary right of jurisdiction over PVT Fisher, but the ROK denied the request,” according to Major General Tate II. It is documented fact that Fisher selected an attorney, Lee, from a list of 15 provided to him by the military within a week of his arrest on 26 November 2010. 3WM obtained documents with Fisher’s signature and fingerprint from USFK officials. However, it must be added, that during the discussion about the process of selecting a lawyer from the list of 15, an imitation of covering one’s eyes and randomly pointing to a name on the list was done. Nevertheless, the USFK fulfilled its responsibility under SOFA to give Fisher access to a USFK certified attorney who they’d then pay seven million won per trial stage. 3WM cannot confirm why the Fisher family and friends remained aloof to these facts as Fisher was not incarcerated until 21 June 2011 some seven months after his arrest. As of the time of this post, the family has not responded to a series of questions. Unfortunately it would appear that Fisher provided most of the information to the family. On July 15, 2011, a second article titled “Area parents ask for help over son’s imprisonment” by Steve Mocarsky came out in the local Times Leader newspaper and with it more misinformation (though a few more facts were mixed in). The location was now correctly Seoul–the nightclub remained. Now the CCTV was “inside the taxi” and showed a “tall, slender” male “reaching inside the cab.” As earlier stated, the CCTV was not inside the taxi but the tall, slender argument has been made by PVT Fisher both in court records and to 3WM (Fisher is not slender–he is 6 foot, 5 inches and weighs 225 pounds). Throughout the case one thing that stands out is Fisher’s unrelenting insistence of his innocence. In the Times Leader article, Mrs. Fisher says her son “refused to plead guilty against his South Korean lawyer’s advice.” This has been confirmed numerous times through court documents and Fisher’s attorney. From the very beginning, Fisher insisted he never took a taxi, never stole anything and reacted aggressively when the police arrested him without stating why. It is a widely known fact that it benefits one to admit guilt, accept justice and move on. Most courts around the world welcome this and the case is much the same in South Korea. Though one slightly different aspect of the Korean system is that it’s often better to just pay a settlement and avoid trial altogether, whether innocent or not–this is called habuigeum. Simply, avoid lawyers, avoid court and settle things. Throughout Fisher’s case his attorney, interrogators and other judicial figures suggested he make a deal with the taxi driver. Even in his 15 March 2011 interrogation, he is randomly asked near the end if he wishes to make a deal with the taxi driver. Fisher again states that he didn’t take the taxi and didn’t take the money so he has no deal to make. In a later part of this series the witness aspect will be further explored but, in short, Fisher was not, according to documents, prevented from calling witnesses but, contrariwise, he was encouraged to locate individuals. Additionally, the suggestion that he didn’t have military representation present—though the caliber and capability of that representation is questionable—during questioning and trial is mendacious. Finally July 18, 2011, Fisher’s parents and sister contacted a local division of Entercom Communications Corp, the Avoca, Pennsylvania-based radio station, WILK 103.1 AM/FM News Radio. In a phone-in on-air interview with Anchor L.A. Tarone (who is incidentally News Director at sister-station WYLN-TV, so presumably somewhat responsible for fact checking), Fisher’s father and sister stated their understanding of the situation. This was interjected by highly professional baiting from the radio host. Listen to part 1 and part 2 of the interview. According to this radio interview and relating to the alleged incident between Fisher and the taxi driver: Fisher was out with three other servicemen at the time, he used public transport to get back to base, he was on the phone to someone when he noticed three or four people outside the taxi and that “Police beat him pretty well,” as previously stated by Mr. Fisher. In the WILK 103.1 AM/FM interview it was further stated that Fisher’s SOFA Agreements had been violated, that if he is released he will then have to go to a United States Federal Court and that it had been proposed in South Korea that if family pay what is tantamount to a bribe, Fisher would be released. This information was understandably jumped on as nonsense by a large proportion of people. The Fisher family later reiterated that the only contact that they had had with the military was from their son’s CO ringing to acquire an address to forward belongings to. It appears as though their information was either fabricated, or came from Fisher himself. Currently 3WM is waiting for more documents to be released and for others already obtained to be translated. Moreover, 3WM is in the process of establishing contact with individuals of interest. Due to this, Part 4 will be published in two weeks. Editors. Dae-hyun Ji and Elena J contributed research and translation.